Orbital Sciences Corporation (NYSE: ORB) announced today that it was recently awarded a $22 million development contract by the United States Army Space and Missile Defense Command (USASMDC) for Phase IIa of the Liquid Booster Target System. The objective of USASMDC's program is to develop a liquid propellant booster system to support the Ballistic Missile Defense Organization (BMDO) Targets Program and to serve as a threat-representative target to test various missile defense systems. Orbital was one of two companies selected from among the five who performed design concept studies under Phase I contracts from USASMDC in early 2001. Under the 18-month Phase IIa contract, Orbital will complete design and development of its liquid propellant booster concept, integrate and test the system, and perform a full-scale static firing of the booster engine. 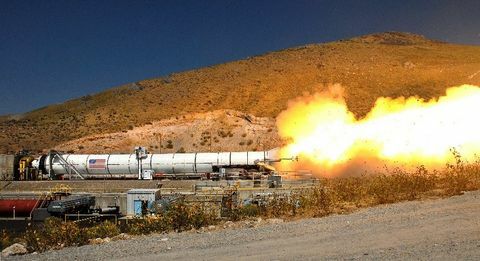 Following the static firing, USASMDC intends to select one of the two Phase IIa contractors to perform the Phase IIb effort, which includes completion of the detailed liquid booster system design, development and a flight test in early 2004. Following the successful completion of the Phase IIa-b development program, USASMDC may choose to award additional production contracts. Orbital's liquid propellant booster concept is based on hydrogen peroxide propulsion technologies originally developed by the company for the Upper Stage Flight Experiment (USFE) Program for NASA and the United States Air Force. 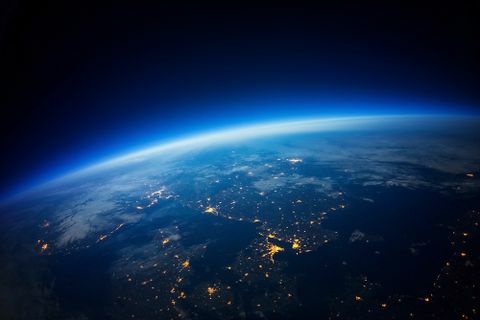 The USFE Program was established as a technology demonstration program with a goal of developing a new low-cost, non-toxic liquid fuel upper stage for suborbital and space launch systems. The Liquid Booster Development Program will be carried out by Orbital's Launch Systems Group at its engineering and manufacturing facility in Chandler, Arizona. Commenting on the award, Mr. Ronald J. Grabe, Executive Vice President and General Manager of Orbital's Launch Systems Group, said, "We are extremely pleased to have been selected by USASMDC for the Phase IIa award. Orbital looks forward to developing new applications for our hydrogen peroxide propulsion technologies and building on the successful relationship previously established with USASMDC on the STORM ballistic target and Consolidated Theater Target Services programs." 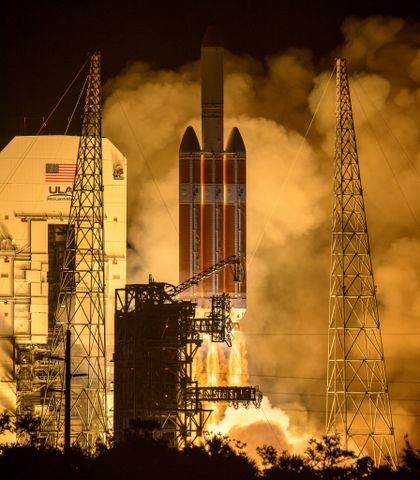 Mr. Michael J. Bender, Senior Manager of Business Development for Orbital's Launch Systems Group, added, "The Phase IIa contract award caps a four-year, Orbital-led new business initiative to apply non-toxic and non- cryogenic liquid propulsion technologies to BMDO target systems. The benefits of a liquid propulsion-based target vehicle includes a more accurate representation of today's potential hostile weapons systems and affordability and safety in production, handling and flight test operations. With the possibility of production contracts following Phase IIb, this initiative is consistent with our corporate strategy of aggressively pursuing missile defense-related programs with the long-term potential for production-level contracts." More information about Orbital can be found at: http://www.orbital.com . CONTACT: Barron Beneski, Public and Investor Relations, of Orbital Sciences Corporation, +1-703-406-5528 or beneski.barron@orbital.com. Copyright (C) 2001 PR Newswire. All rights reserved.